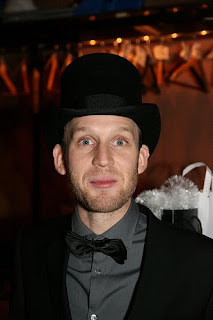 Ola Spjuth, the mastermind behind the realization of Bioclipse is now a doctor. These last days he and his best friend Martin Eklund went through the process. Olas thesis can be found here and more importantly I have it all documented in pictures on flickr. 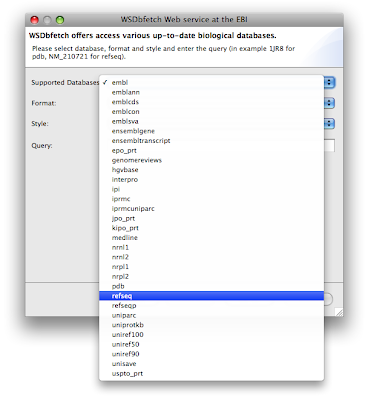 Try for example to download the sequence "NM_210721" from the "refseq" database. Clicking Next allows for inputting a comma-separated list of PDB IDs, try for example "1ale,2pdz". Clicking next downloads the file to the selected folder in the Navigator, or to the Virtual project if nothing is selected. Below is visualized 2PDZ in the Jmol Editor. 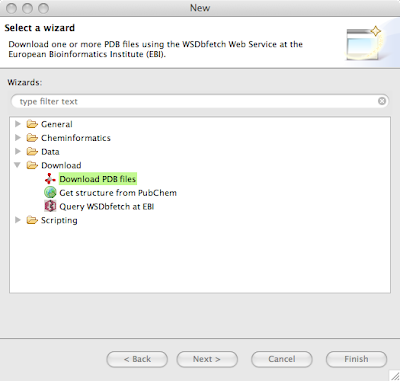 A recent feature addition to Bioclipse is the ability to align protein sequences using the Kalign Web service available from the European Bioinformatics Institute (EBI). 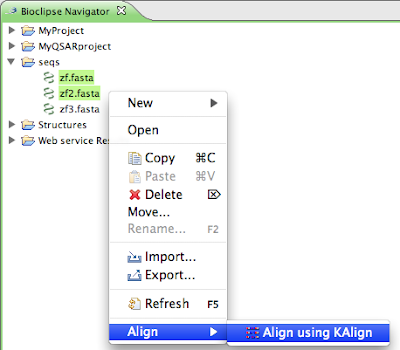 Simply select two protein sequences in the Navigator (currently the FASTA format is only supported but more formats are in the pipe), right-click, and select Align > Align using Kalign. This compiles the sequences into the input format that Kalign expects, and sends it via SOAP to the Kalign Web service at EBI. 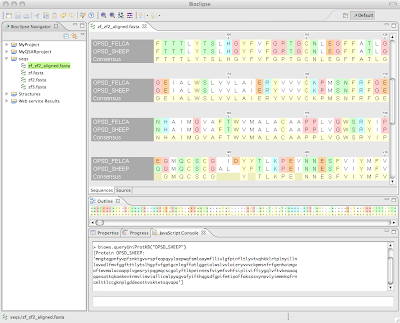 The results is stored as a file in the same folder as the aligned resources, and opened in the SequenceEditor (note the new Wrap feature available from the toolbar). 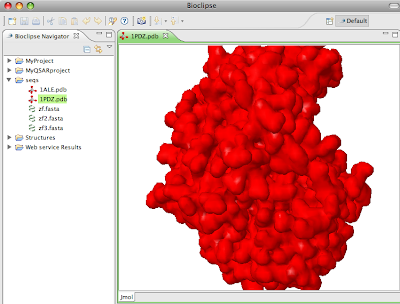 The feature is available from the latest development version of Bioclipse.